Start to develop in APEX 5.1, you will gain at least an hour a day! Yesterday APEX 5.1 (5.1.0.00.43) was installed on apex.oracle.com. 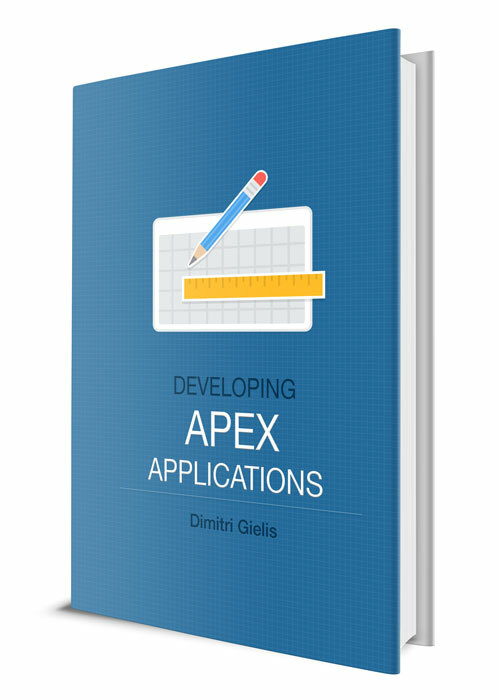 This means that you can start developing your apps in APEX 5.1 from now on. 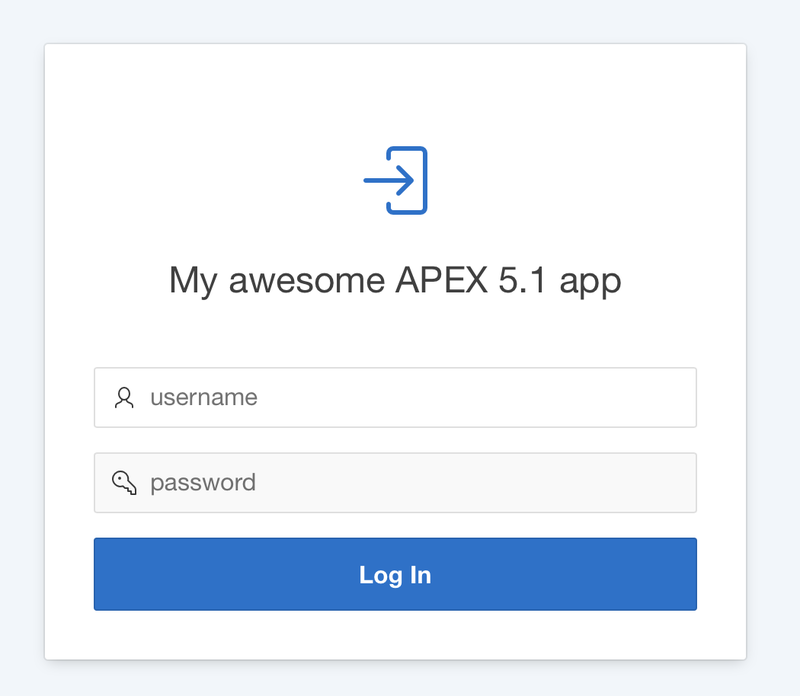 Unlike the early adopter releases (apexea.oracle.com) you can develop your apps on apex.oracle.com and later export them and import in your own environment once the on-premise version of APEX 5.1 is available. 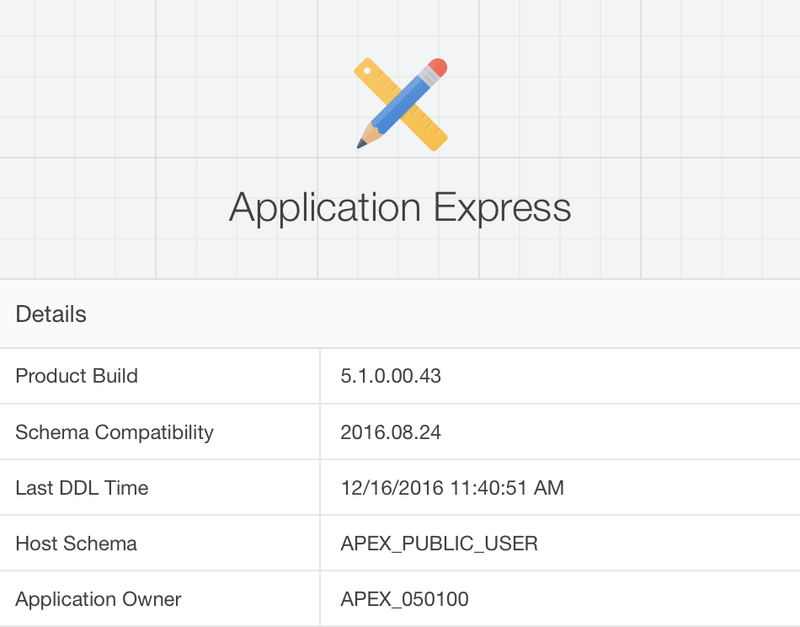 APEX 5.1 is again a major update behind the scenes. The page processing is completely different from before; where previously full page reloads were done, now there's much more lightweight traffic and only necessary data is send across. 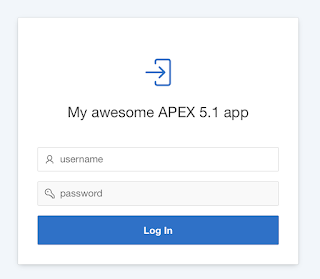 Previously in APEX 5.0 you had to adapt the login page, see my blog post Pimping the Login Page. 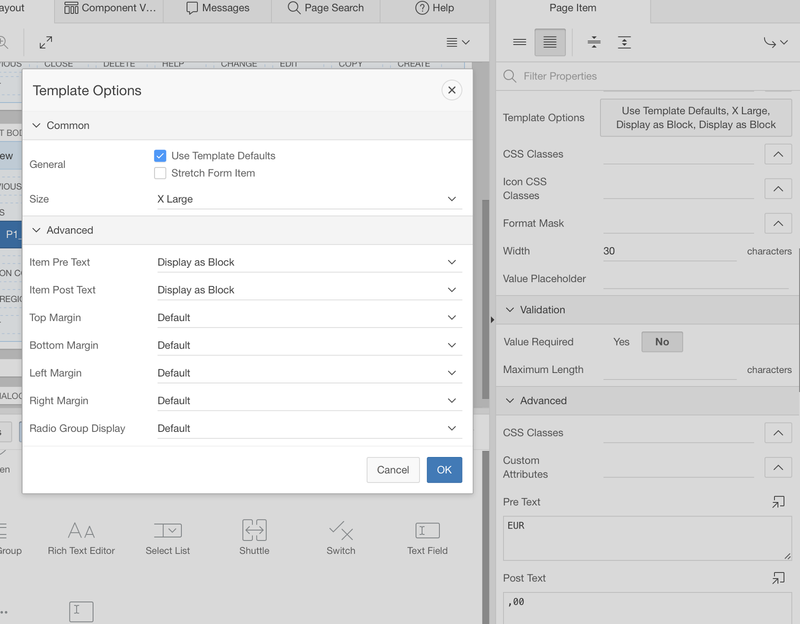 You could do all the item customisations above in APEX 4.2 or 5.0 too, but it would require custom css and some code, whereas now it's declarative in APEX 5.1. And there's so much more; ability to switch style by user, new packaged apps, warn on unsaved changes, no reload page on submit etc. features that haven't been talked about much yet, but which before you had to do with a plugin or a lot of custom code and now it's just there. 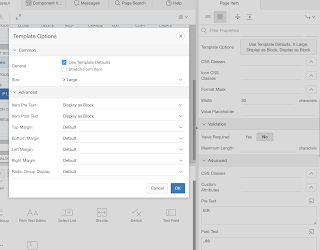 So those "smaller" features are actually not so small, they are an enormous timesaver and bring your apps in warp-speed to modern and great looking applications. 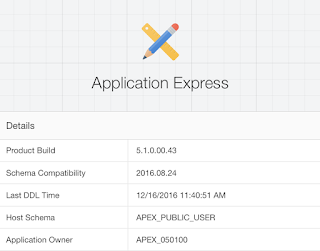 Update: on December 21th APEX 5.1 was made available to download on OTN.